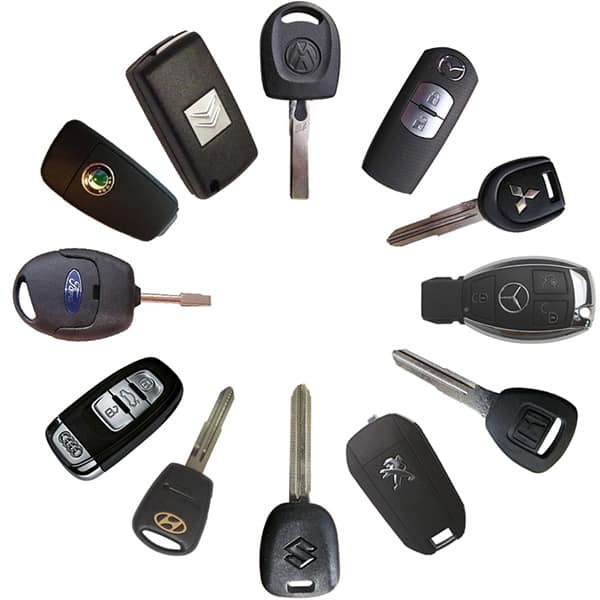 Using our high-tech equipment, we can quickly program a new remote, fob, or remote head key to work with your vehicle. Buying spare car remotes from your local dealership is expensive and time-consuming. Depending on the make and model of your vehicle, a new remote key head or car remote could wind up costing you more than your monthly car payment. Here at Lightning Locksmith, we’re proud to offer drivers a simple, affordable way to have extra car remotes made. Our Newtown Square, PA mobile auto locksmith can supply you with a new, OEM-quality key fob or remote head key at a price that’s significantly lower than what the dealership charges, and we guarantee your new car and truck remotes will work as expected. Car remotes use low-powered, short-range radio waves to transmit a coded signal to a receiver located inside the vehicle, which is programmed to recognize the specific signal that’s been paired to the remote head key, remote, or key fob. When a button is pressed on the remote within range of the receiver (usually 5-15 yards), the in-vehicle receiver unit decodes the signal to perform the desired function, such as unlocking the doors, opening the hatch door, or activating the alarm. When car remotes were first introduced back in the 1980s, they relied on a single-code system that could be intercepted using a ‘code grabber’. In order to improve the security of keyless entry devices like key fobs, automotive manufacturers quickly switched to a ‘rolling code’ system – that means each time a button is pressed on the remote key head, a different code is transmitted, making it tough for criminals to intercept and use the codes. Cutting a remote head key or programming a vehicle fob requires specialized computer equipment that ensures the remote will work with the intended car or truck. Key fob programming procedures vary between vehicle manufacturers, as well as the age of the automobile. In some cases, programming new remotes can be done in a matter of minutes, while other more complex key fobs that use code encryption require more time to program. These days many car manufacturers and dealers are cutting corners by supplying just a single remote head key or car remote with each vehicle. For most drivers, having just a single key fob is difficult to manage, especially when sharing a vehicle between family members or co-workers. Having a spare car remote made for your car, van, or light-duty truck is easy – simply call our fully mobile auto locksmith to book a time that fits your busy schedule. We’ll come right to your home or workplace, supply you with a brand new OEM key fob or car remote, and program all of your remotes on the spot. If you need a new remote head key, we can also cut and program it in less time than you’d expect. Whether you need new car and truck remotes made, want a spare key fob to keep on hand, or simply need key fob battery replacement service, you can count on us here at Lightning Locksmith. We are fully licensed, bonded, and registered, and we’ve been in business for more than 40 years. Contact our Newtown Square, PA mobile auto locksmith today – we’re available 7 days a week, and we also offer emergency car remote replacement and repair services.